Indonesian Citizen, lives in Yogyakarta. Born in 1955, age as of December 2018 is 63 years old. 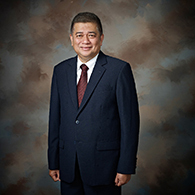 He received his Bachelor of Economics, Accounting from Universitas Gadjah Mada in 1991. 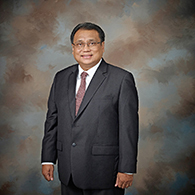 He is Currently serving as Deputy Chairperson of Board Members II at the Republic of Indonesia BPK since 2013. Previously, He served as President Commissioner of PT PELINDO I (Persero) (2017-2018); Commissioner of PT PELINDO I (Persero) (2017); Deputy Chairperson of the Republic of Indonesia BPK (2014-2017); Member II of BPK RI (2013-2014); Member V of BPK RI (2010-2013); and Member VI of BPK RI (2007-2010). Appointed as President Commissioner/Independent Commissioner for the first time at the Extraordinary GMS dated September 05, 2018 based on the Deed of Decision of the General Meeting of Shareholders No. 15 of 2018. Serving Period : September 05, 2018-closing of the 2023 Annual GMS (first period). He does not have affiliation with either the members of the Directors, other members of the Board of Commissioners. Indonesian Citizen, lives in Bandung. Born in 1960, 58 years old per December 2018. She received her Bachelor in Forestry from Institut Pertanian Bogor in 1982; Master degree in Development Studies from the Institut Teknologi Bandung in 1998; and Doctoral degree in Agricultural Sciences from Kyoto University in 2005. 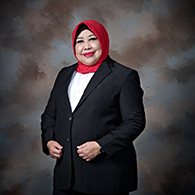 She is currently serving as Secretary General of the Ministry of Public Works and Housing of the Indonesian People since 2016; and She also serving as a Member of the Audit Committee of PT Jasa Marga (Persero) Tbk. Previously, She served as Head of Human Resources Development; and Head of Housing Research and Development Center (2009-2015). Appointed as Commissioner for the first time at the Extraordinary GMS dated September 05, 2018 based on the Deed of Decision of the General Meeting of Shareholders No. 15 of 2018. She does not have affiliation with either the members of the Directors, other members of the Board of Commissioners. Indonesian Citizen, lives in Jakarta. Born in 1965, 53 years old per December 2018. He received his Bachelor in Animal Husbandry from Universitas Brawijaya in 1987; and Master of Agricultural Economic from University of Maine, USA in 1994. He is currently serving as Assistant Deputy of Agro and Pharmaceutical Industry II, at the Ministry of SOE since 2019. Previously, He served as Finance Director of PT Hotel Indonesia Natour (Persero) (2000-2003); and Commissioner of PT Pelabuhan Indonesia II (Persero) (2014-2016). Appointed as Commissioner for the first time at the Extraordinary GMS dated March 30, 2016 based on the Deed of Decision of the General Meeting of Shareholders No.64 dated April 27, 2016. Serving Period : March 30, 2016-closing of the 2021 Annual GMS (first period). Appointed as Commissioner for the first time at the Extraordinary GMS dated Wednesday, March 15, 2017 based on the Deed of Decision of the General Meeting of Shareholders No. 37 dated March 23, 2017. Serving Period : March 15, 2017-closing of the 2022 Annual GMS (first period). Indonesian Citizen, lives in Jakarta. Born in 1958, age as of December 2018 is 60 years old. 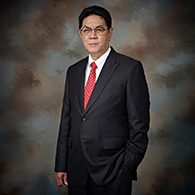 He received his Bachelor of Law in the Department of Civil/ Agrarian Affairs from Universitas Trisakti in 1983; Master of Art in Macroeconomics from Reading University, UK in 1994; Masters in Notary from Universitas Indonesia in 2003; and Doctoral degree from Universitas Padjajaran in 2014. 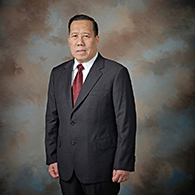 He is currently serving as Expert of Minister of Agrarian and Spatial Planning/Head of the National Land Agency since February 2018; Expert of Minister of Energy and Mineral Resources (ESDM) since February 2018; Expert of Minister of Public Works and Public Housing (PUPR) since August 2018; and Non-Permanent Lecturer at the Faculty of Law, Universitas Trisakti, Faculty of Law Postgraduate Program, Universitas Indonesia. Previously, He served as Board of Commissioner of PT Asuransi Jiwasraya (Persero) (2008-2016); Deputy for Law and Legislation at the Ministry of State Secretariat (2007-2018); and Primary Expert Lecturer of Ministry of Finance (2018). Appointed as Commissionerfor the first time at the Extraordinary GMS dated March 30, 2016 based on the Deed of Decision of the General Meeting of Shareholders No. 64 dated April 27, 2016. Indonesian Citizen, lives in Jakarta. Born in 1957, age as of December 2018 is 61 years old. He received his Accountant from Sekolah Tinggi Akuntansi Negara (STAN) in 1987; and Master of Public Management from Carnegie Mellon University USA in 1998. 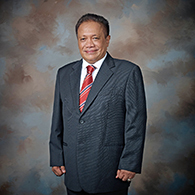 He is currently serving as Consultative Member of Government Accounting Standards Committee since 2016; Audit Committee of PT Jasa Marga (Persero) Tbk. since 2016, and Committee member of Tabungan Perumahan Rakyat (Tapera) since 2016. Previously, He served as Director General of State Wealth, Ministry of Finance (2015-2017); and Inspector General, Ministry of Finance (2011-2015). Appointed as Independent Commissioner for the first time at the Extraordinary GMS dated April 10, 2018 based on the Deed of Decision of the General Meeting of Shareholders No.60 dated April 19, 2018. Serving Period : April 10, 2018-closing of the 2023 Annual GMS (first period).